So, why isn't the FDA banning fluoride in public water supplies? While this is certainly good news, their move still begs the question: if fluorine-based chemicals, "... no longer [show] a reasonable certainty of no harm ..." then why isn't the FDA interested in banning fluoride in public water supplies? Seriously, just because many people have it in their heads that fluoride builds healthy teeth (cavity prevention), and that it's not harmful (because the medical professionals say so, because ads say so, etc. ), that doesn't make it true. 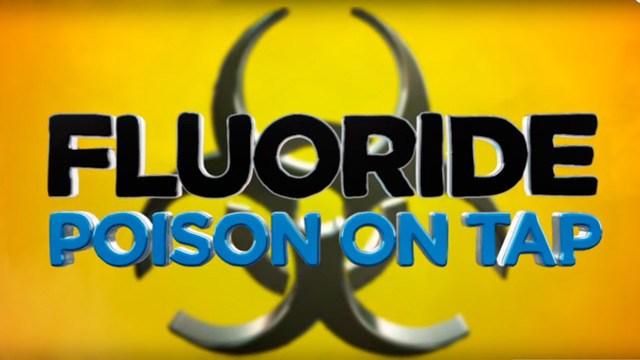 Indeed, according to the Fluoride Action Network (FAN), "fluoride is a highly toxic substance that can cause a range of adverse health effects." Such health problems range from cancer and cardiovascular disease, to brain and fertility issues. With dental professionals, environmental organizations and residents coming forward about the health problems associated with water fluoridation, we can't help but wonder why the FDA continues to ignore the issue. Enough tap dancing around what's in the public's best interests and of acting as "anti-science front groups," as Mike Adams, the Health Ranger, says. It's time the FDA announces a ban on fluoride in our entire water system.